Listen live via webstreaming @ www.myspace.com/soundart_fm just follow the link which loads onto your PC's media player. Radio Caroline thurs eve, 13th Dec - imagination radio, rob leighton. Caroline can be heard on Sky channel 0199, or on-line at www.radiocaroline.co.uk. Choose the Abacast stream for optimum quality. The show is marked to start at 9pm GMT and last for three hours. The Bluehorses December newsletter has been emailed to those who signed up on the main website front page. 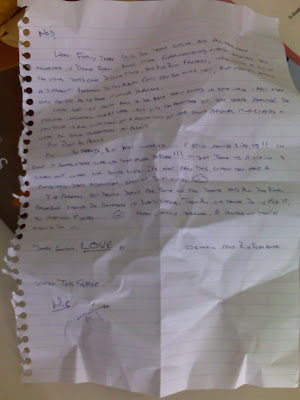 the front cover in greater detail. 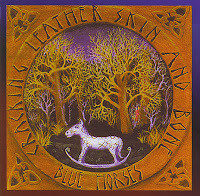 6 new tracks have been uploaded to the Bluehorses MySpace profile. They're back with a new sound and they ain't taking no prisoners! 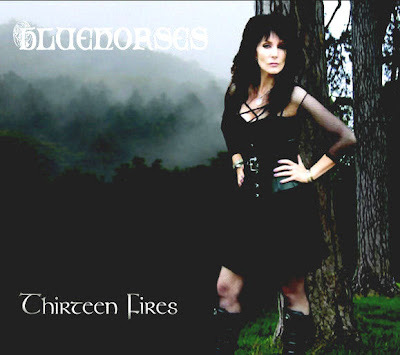 Welsh Celtic Rockers Bluehorses have gone back to their roots and come up with a new album - their 7th - that's bursting with metallic riffs, pounding double kick drums and electric violin. Fronted by Irish/Welsh Gothess, Lizzie Prendergast, whose storming violin and vocals provide the Celtic flavour, the band have come out of the closet - and brought some skeletons with them! Founder member and drummer Nic Waulker says "Over the last 15 years we've played numerous festivals in every country in Europe and Scandinavia, but compared to the stuff we've jammed in the privacy of Bluehorse Towers, we've always toned things down quite a bit. Now thanks to the delights of YouTube, we've discovered there's a massive Folk Metal scene going on with fantastic bands like Korpiklaani and In Extremo and it's made us realise there's an awful lot of people around who want to hear the kind of music we've always really enjoyed playing. We spent the summer at our studio up here in the Welsh mountains with Jay MacDonald our guitarist - who also played bass on Thirteen Fires - writing and recording the new album which has just gone to press, and we seriously think it's a bit of a stunning beast! The Bluehorses November newsletter has been emailed to those who signed up on the main website front page. Mother and Baby (8lbs 3.5oz) calm and doing well. Jay is very proud Daddy again. During the Summer festivals a couple of new tunes were aired; one of these that went down rather well with all who were there, was "Dance With Me". We have just been informed that the show at the Thomas Tripp in November has been canceled by the venue. 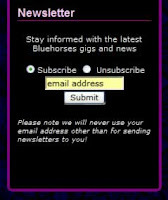 The Bluehorses September newsletter has been emailed to those who signed up on the main website front page. The August newsletter has been emailed to those who signed up on the main website front page. 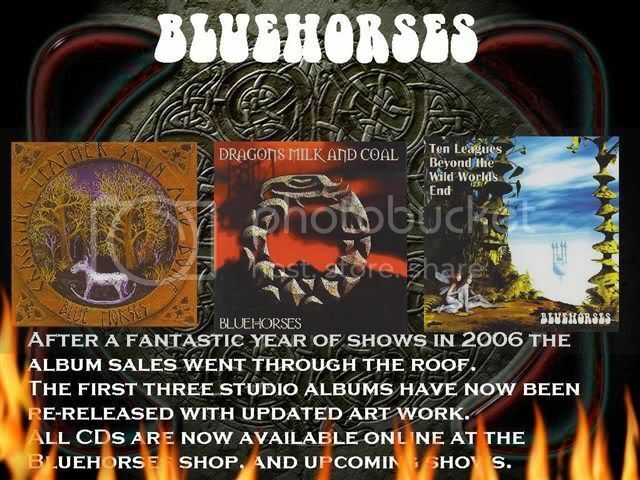 The newsletter can be seen on the newsletter blog pages Magazine Newsletter from Bluehorses: July she will fly... and so she did! The organizers of this festival have contacted us to pass on the bad news, we do not have any details at present, other than it will not go ahead. Apologies for any inconvieniences that this may cause. The next outing for Bluehorses is at the Farmer Phil's Festival - Shropshire on 11th August. They are on the revolving stage on Saturday night. Sorry, but the Castle/ dell site is a bit of a swamp just now. Further news will be relayed as soon as we find out details. 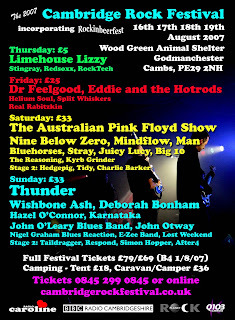 The next outing for Bluehorses is at the Spratton festival - Northampton on 13th July. They are headlining friday night. The next outing for Bluehorses is at the Point- Cardiff on 6th July. T hey are supporting "The Men They Couldn't Hang". The July newsletter has been emailed to those who signed up on the main website front page. The next outing for Bluehorses is at the Mayfest - Buntingford - Herts on 27th May. They are currently scheduled to be on the Walkern Stage at 8pm after Chris Jagger's Atcha and before the Nimmo Brothers. the full line up can be see here. 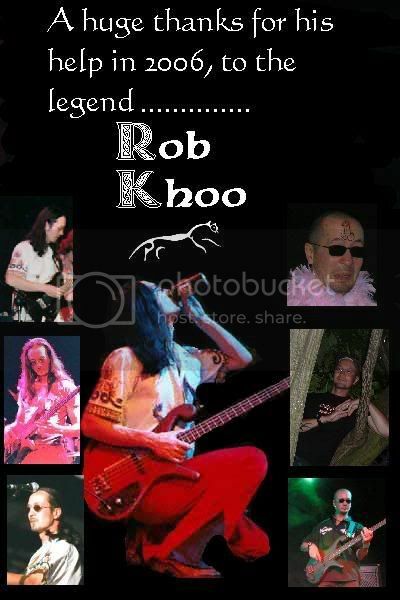 Rhayn's first show with the band was at the flowerpot in Derby - A full report is on the horsetailz blog and forums, also there will hopefully be some photos in the gallery. 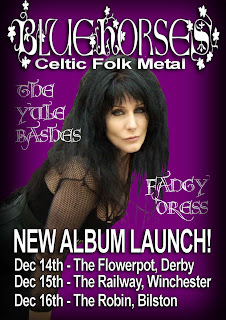 Rhayn's first show with the band will be at the flowerpot in Derby this coming Friday - A full report will be on the horsetailz blog and forums early next week, also there will hopefully be some photos in the gallery. Many thanks to Rob for his help at such short notice. Now we have a new full time bass player again, Rob has returned to the heat of the kitchen. It was a pleasure Rob......thanks again matey. A brief announcement to welcome Rhayn Jooste to Bluehorses. 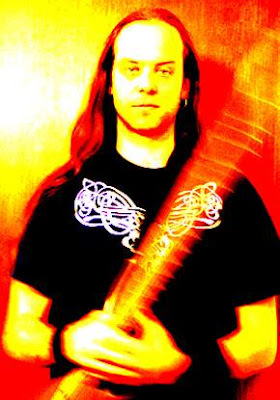 Rhayn has joined the band as a permanent replacement on Bass for Nathan. A complete introduction will be forthcoming in the Band bios section over the next few days. We would like to extend a massive thank you to Rob Khoo for his sterling work covering for the last nine months..
A Video Showcase - linking to a selection of videos on YouTube. An Audio Showcase - a web music player, playing a selection of tunes from the catalog. A brand new feature on the Bluehorses family tree. 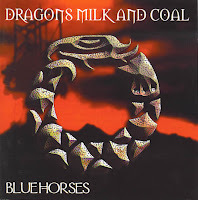 Dragons Milk and Coal was the 2nd studio album from 1999, and a MOJO magazine Album of the Month . Ten Leagues Beyond the Wild Worlds End was the startlingly original 2001 fourth album. Liz Prendergast's vocals lending credence to the doom laden lyric and varying from cooing lullaby, to big, belt-'em-out rocker via gothic chiller. You will also be able to purchase them them through Amazon, however using the shop on the main band site leads to more of the money going towards the new album! The February Newsletter has been sent out to all those who have registered on the main band web page. The newsletter can be seen on the newsletter blog pages here. If you did not receive it, and would like to do so in the future, or if you previously signed up but nothing has arrived in your in-box, please enter your mail address in the box on the main band web page.